Am I Aries or Pisces? The whole “controversy” over the so-called new zodiac had me thinking about the first line in “Controversy,” the 1981 Prince hit--I just can’t believe all the things people say. 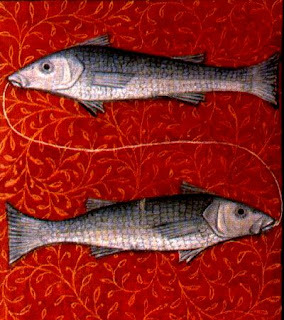 Am I Aries, or am I Pisces today? So it was fortunate that I had been given a Cloud 9 Living gift card and could choose from a selection of “experiences” across the country, which, depending on the region (and monetary value of the card) could be anything from hang-gliding to dance lessons. Once I picked the fencing class, there was $95 left, so as part of the “experience” I chose a 30-minute Phone in Astrology Reading. Before discussing my chart, Vedic astrologer Steven Stuckey asked if I had been listening to the news reports about the new zodiac. He explained that Vedic astrology is calculated differently from the Western zodiac. So the gist of it is, I am Pisces in the Vedic system, but still Aries according to Western astrology. He started the reading with some general things about my chart. I was born at a full moon. People born at a full moon are very sensitive, very conscious and more aware. “So it’s usually an indication of higher awareness and it brings about a lot of knowledge,” he said. “Your life has been blessed in a certain sense with the pursuit of knowledge and understanding." This knowledge and awareness often has a lot to do with the things I do in life “in terms of your work and that kind of thing. A lot of times people born under a full moon are more intuitive just because they’re generally more aware and conscious. That means their feeling levels are usually higher as well. [The moon represents the feelings.] You also have Scorpio rising which is considered to be another very sensitive placement, intuitive, and sometimes psychic. There were teachers in my mother’s family. One of my sisters is a teacher. I even considered the profession until I realized that I could possibly be under appreciated and underpaid. So I became an under appreciated and underpaid writer, but at least I love what I’m doing and the writing quite often involves long distance travel. After talking about some of the topics I write about, Steven looked at my chart again. 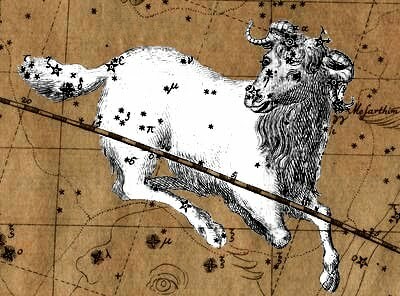 “The moon is in the sign of Virgo,” he said. “Virgo is a mental sign ruled by Mercury. The planet Mercury (which is involved with writers and communication) was involved in the full moon.” So I have a moon and Mercury opposition in my chart. The Moon represents the subconscious mind and Mercury represents the conscious mind. “What happens with moon/Mercurys is that they have a lot of knowledge. They have a lot of information going through their head all the time. This can be a creative thing for writing because there’s just so much information that is coming through. The other side can be more technical because the moon in Virgo is a stickler for detail and they’re intellectually oriented, but the Mercury factor brings in a creative factor. Not everybody has this kind of a chart, he added. “Normally when I see charts like this, the person has been initiated by a guru and they are practicing heavy duty involvement in higher knowledge, especially connected to the East and things like this.” It’s possible that I haven’t met my “teacher” yet. There’s also hamsa yoga in my chart. “Hamsa means swan-like, and it refers to people who are blessed with certain amounts of knowledge and information. So there’s a blessing in your chart and that’s one of the reasons why, if you’re in trouble, something happens to help you." "There’s more to it than that,” he continued, and suggested ways in which I could pursue a certain path, which, oddly, the month before I had actually started looking into. And it seems there’s a deeper reason for the large collection of books about yoga, tai chi, meditation, feng shui, holistic and Chinese medicine, among other things that line my bookshelves. So whether I’m Pisces or Aries is still in debate, in my mind at least. Maybe I’ll think more about it after my yoga class today. Or perhaps I’ll just let the Higher Teacher guide me. For more information read New Zodiac Signs in 2011?